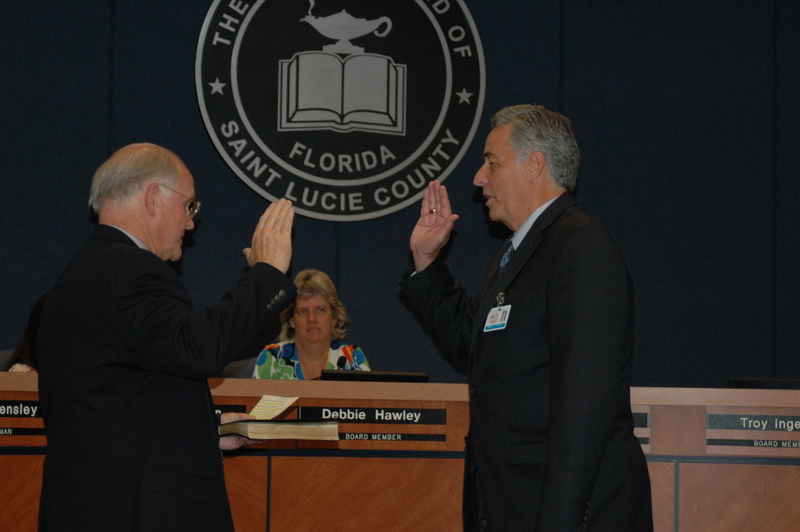 Superintendent E. Wayne Gent was sworn in as St. Lucie Public School’s new Superintendent of Schools on July 21, 2015, during the School Board meeting. 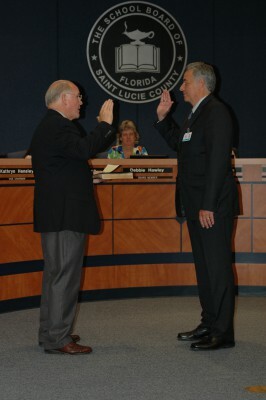 The new superintendent values the support he has received from the community and appreciates this opportunity to serve. He will focus on teaching and learning as the core mission, leadership and talent development, safety with a culture and climate conducive to learning, and communication/customer service/community engagement.